The April issue of the Fire & Arson Investigator Journal is ready for preview. Click here to preview the April issue. 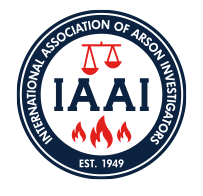 The International Association of Arson Investigators® (IAAI®) is an international professional association of more than 9,000 fire investigation professionals, united by a strong commitment to suppress the crime of arson through professional fire investigation. The IAAI shall continue to serve as the global resource for those working in and associated with the fire, arson, and explosion investigation profession with respect to fire safety and prevention; arson investigation, determination, and prosecution; and fire loss claims and litigation. Representation of members’ interests in Washington, D.C. Copyright © 2019 International Association of Arson Investigators, Inc.